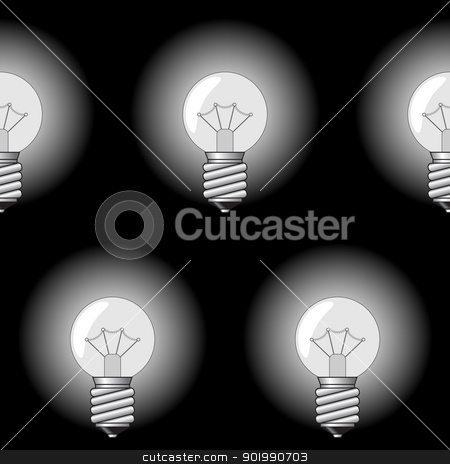 Black-and-white abstract background with electrical a sphere-form lamps for your design. Seamless pattern. Vector illustration.